Dave and I had been talking about a summer weekend in Chicago ever since we visited the city in December for Christmas shopping along the Magnificent Mile. That weekend was unseasonably cold, rainy, windy, and didn’t allow for any time outdoors. A late-July visit just had to be better. 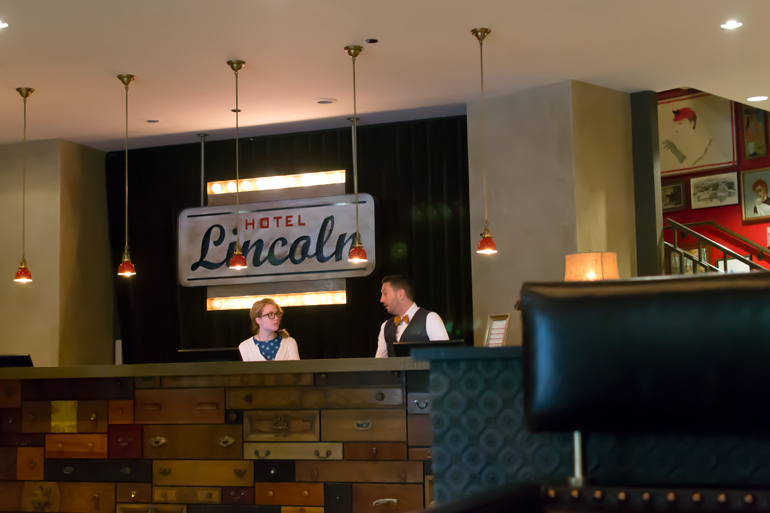 So, we jumped at the chance to plan a warm-weather escape when Hotel Lincoln invited us to stay for a weekend. Unfortunately, it was on the chilly side again. (I even had to buy a pair of tights. In July.) But, a 65-degree day is always better than freezing temps with a full itinerary and a gorgeous hotel to keep us in good spirits. The original Hotel Lincoln was built in the 1920s. 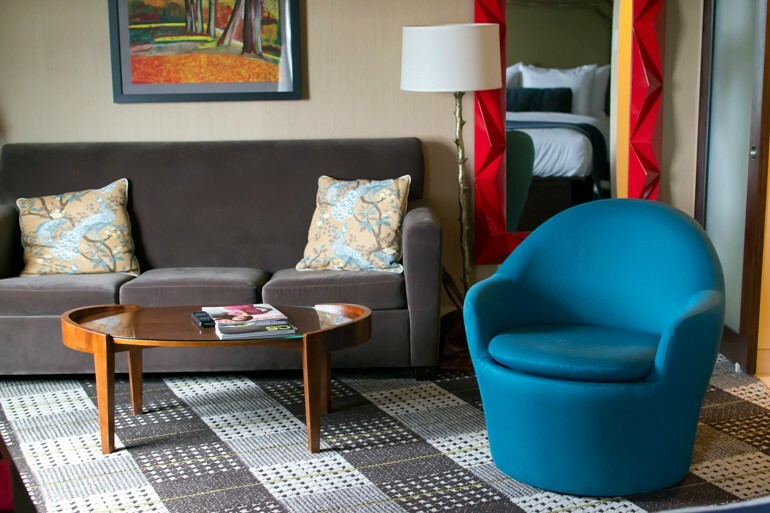 It eventually became a Days Inn, fell into disrepair and closed for six years before Joie de Vivre Hospitality took over the property in 2010. The new owners gave it a multi-million dollar face lift with a vintage-meets-modern vibe. 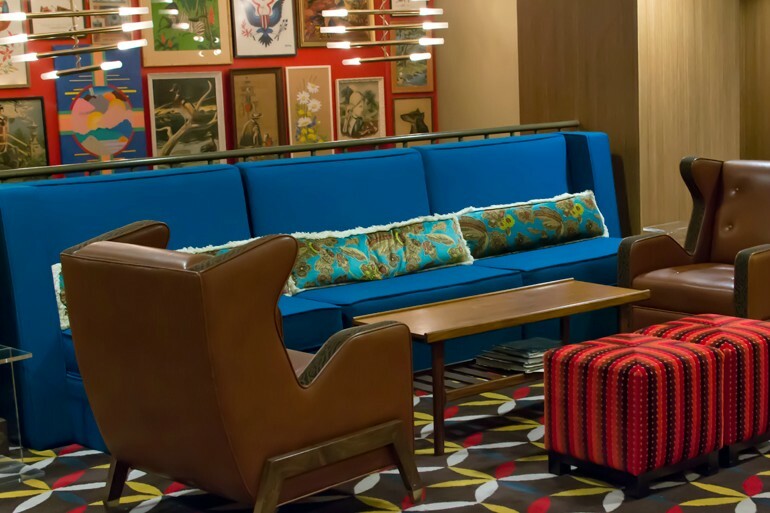 There’s a gallery wall of bad art, more fabrics and textures than you can count, a reception desk made of antique drawers (not all open, but some have candy in them), and a quirky menagerie scattered around the hotel. Really, it shouldn’t work, but it does. I can’t believe a hotel with such prime real estate sat vacant for six years. 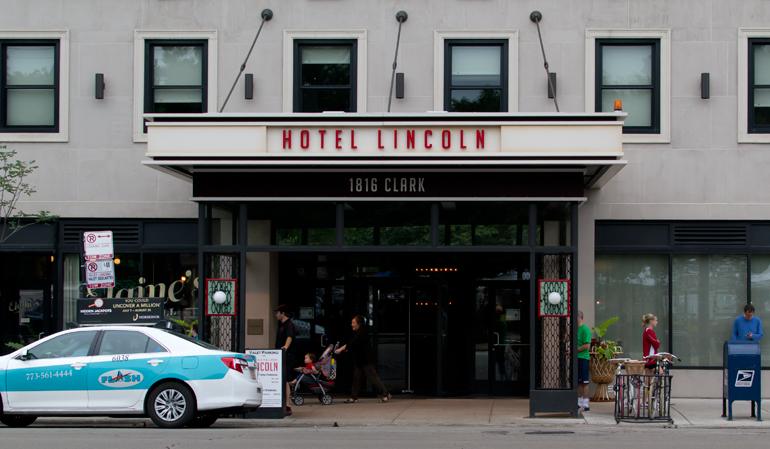 Hotel Lincoln doesn’t waste a bit of the incredible Lincoln Park and Lake Michigan views. The hotel’s rooftop lounge, The J.Parker, overlooks the lake. 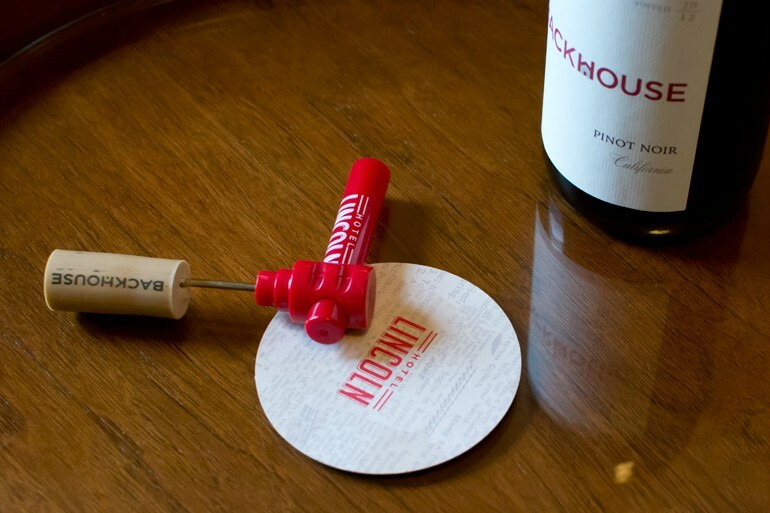 It’s an upbeat, upscale venue with craft cocktails and imaginative shared plates. 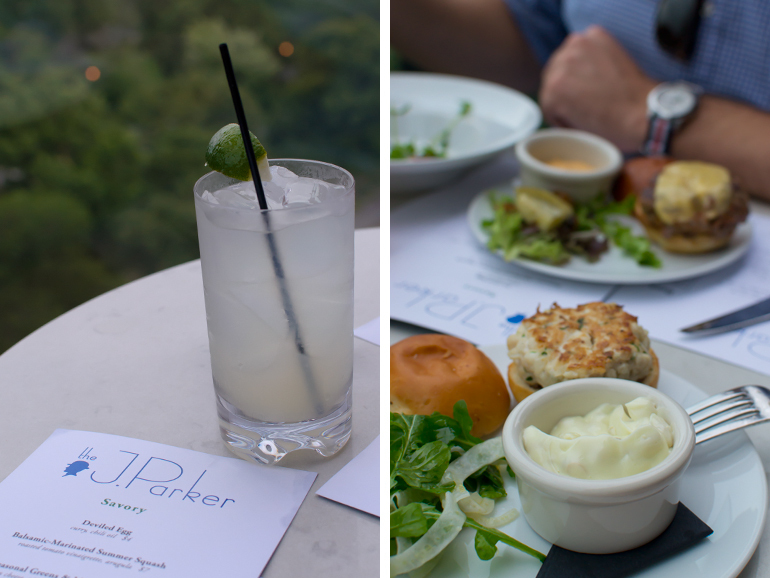 We snagged a quiet table to share a light dinner and toast to our weekend in The Windy City. 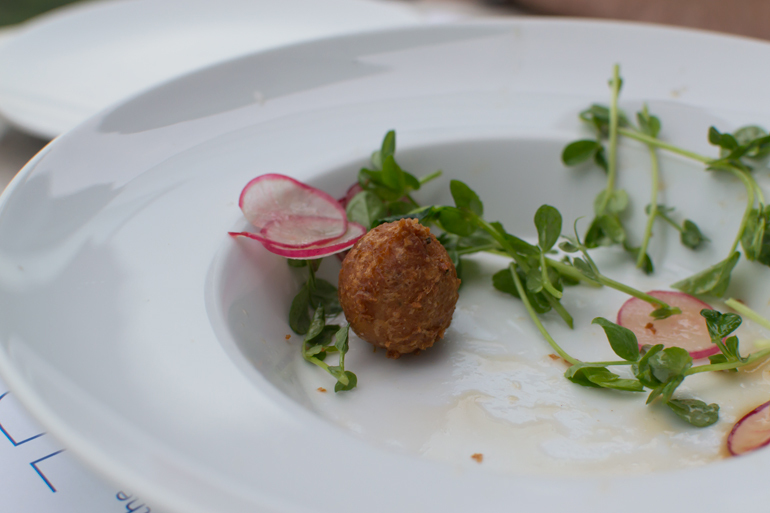 The lonely Peekytoe crab beignet below is testament to how delicious it was (we remembered the camera just before devouring the last one). 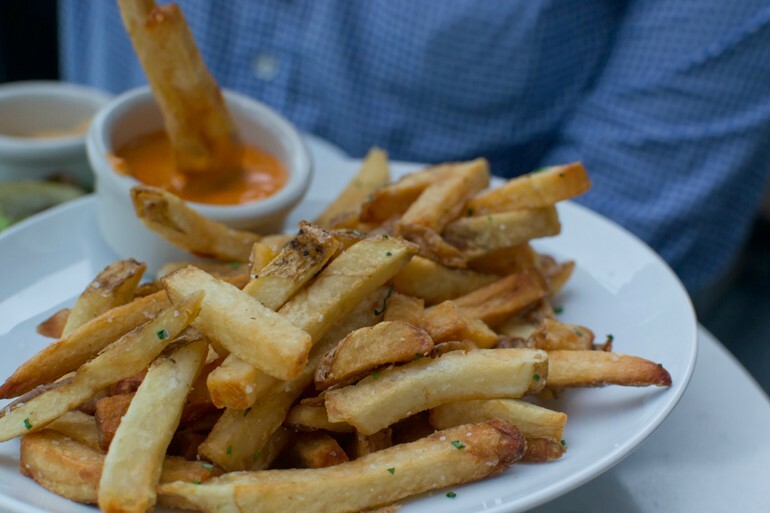 The fries with paprika aioli were a surprising standout. It’s open seating with a few reserved spots. If you’re planning to stay for snacks, arrive early to swoop in on a just-abandoned table. The next morning, we enjoyed breakfast at Perennial Virant, the street-level restaurant connecting to the hotel. The interior is beautiful with large farm style tables and plush seating. We ordered the housemade sausage and the three-egg skillet. Honestly, the sausage was a little dry, but the side of breakfast potatoes mixed with cheese curds was incredible – so much so that I Instagrammed it, Facebooked it and raved about it to our friends that evening. (Wisconsin should have been doing that for years!) 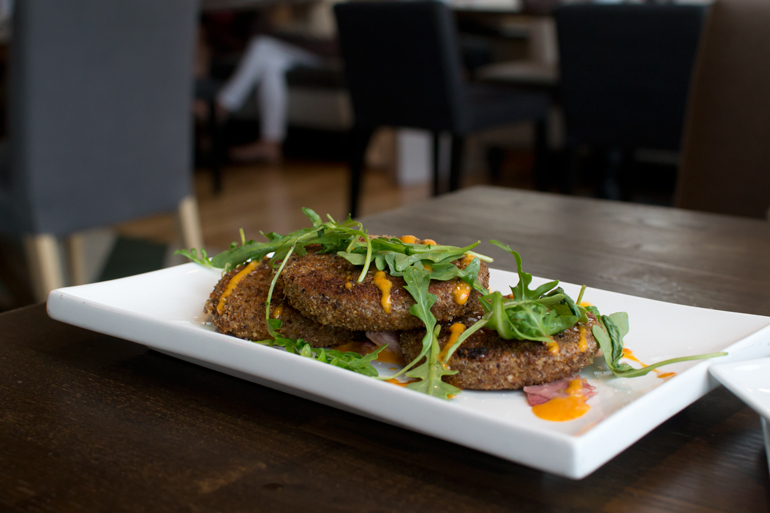 The real highlight were the fried green tomatoes (a surprise from the chef). I first tried the Southern dish in Savannah earlier this year and Perennial’s version was just as good. We ended brunch with breakfast cocktails: a Bloody Mary garnished with an elk stick (seriously) for Dave and I sipped on a seasonal mimosa made with fresh raspberries. 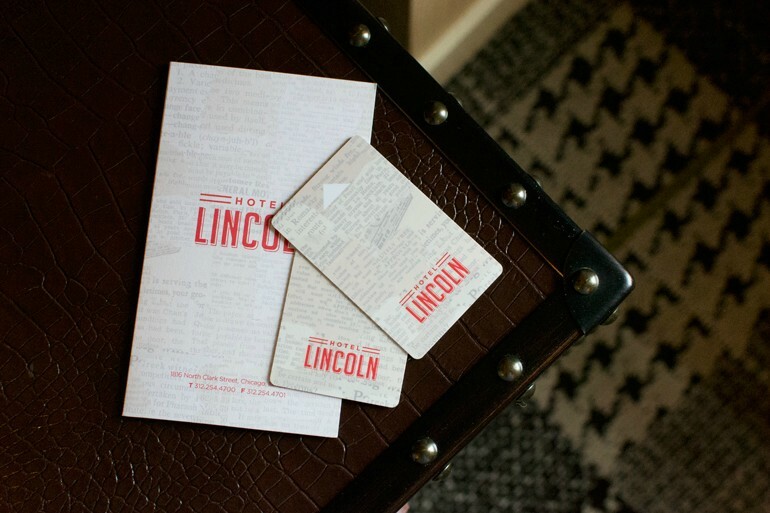 Make reservations with Hotel Lincoln online or by calling 855-514-8112. Upgraded stays are available with special packages like the “Bark in the Park” package for pups (a doggie turndown service!) 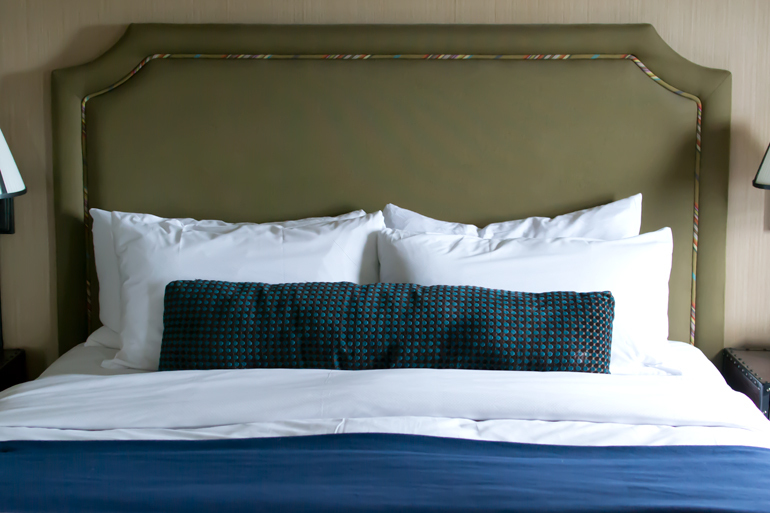 or the “Bed to Baseball” package (a romantic getaway with your guy?). No Chicago plans yet? 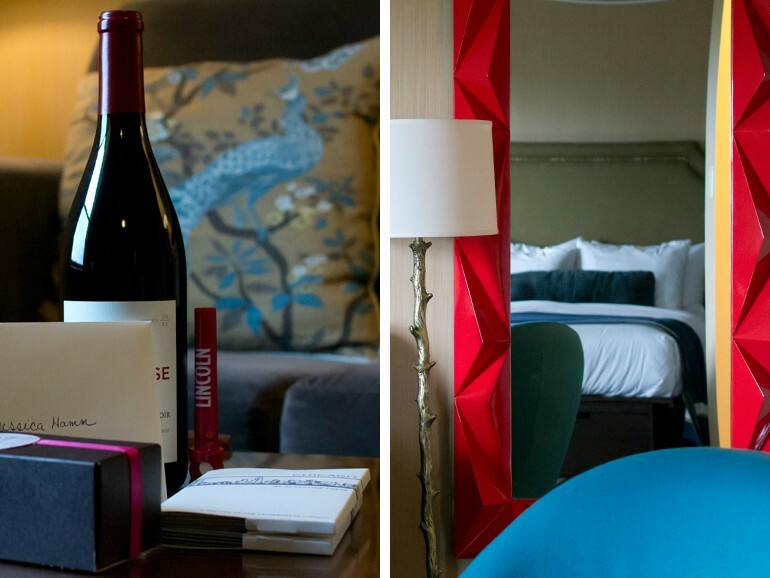 Keep up with the hotel on Twitter, Instagram, Pinterest and Facebook. A huge thank you to Hotel Lincoln for the incredible stay!